Cutie Mark Crusader Treasure Hunters, GO! Sweetie Belle was sooooo excited! She brushed out her pink and purple mane, giving it just the right curl, like her big sister Rarity had taught her. Her coat was all clean and white, and she had given a special polish to the buckle on her saddlebags. With a flourish, she pulled out her aaaaabsolutely fabulous scarlet Cutie Mark Crusader cape, freshly cleaned so that the gold silk liner shined extra bright. This was going to be an absolutely magnificent adventure! A map, hidden by her own big sister Rarity, with a secret treasure at the end! She had found a small diary in the chest along with the map, and a cache of the first ever jewels her big sister had ever found, when she had gotten her cutie mark! The diary had told all about how Rarity had tried to find the treasure when she was little, but had never been able to figure it out! The map was only half the map, and Rarity had never been able to find the other map! The clues said the other half was supposed to be in the library, but Rarity had searched the library from top to bottom without finding it! Sweetie Belle carefully tucked away her preparations. A lightning-bug lantern, some carrots and apples for snacks, and the grilled hay and cheese sandwiches for lunch! She was getting so good at this, they were just barely burnt! They were all going to go to the library and search it for the other half of the map! With all three of them, AND Sunrise Beach, they'd be sure to be able to find it, no problem! But just to seal the deal, Sweetie had asked Grim Tales to meet them there! He loved writing so much, and books, he must surely know how to find a map in a library! Walk straight into something because she wasn't looking! She sat there on the ground, her eyes swirling dizzily, and shook her head quickly to clear her vision. Snips and Snails! What were they doing coming out of the library? A piece of paper floated through the air and landed on her nose. Her eyes crossed as she focused on it. It was her map! She looked again. No, wait! This wasn't her map! This was the OTHER half of the map, the one they were looking for! She jumped up into the air excitedly. "Ohmigosh! Where'd you find it! This is JUST what we were looking for! Oh, thank you, thank you!" The library in Ponyville was unusual. Not only was the library contained within an actual living tree, the tree also contained living quarters for the librarian. Though small, the library had books on many different subjects, but a large portion was dedicated to magic. Books were neatly arraigned on the shelves by the librarian’s dragon assistant. Well, normally. At the moment, books lay scattered all over the floor. Small, muddy hoof prints covered the parts of the floor not covered by books. One of the unicorn colts responsible for the disaster was searching the shelves restlessly while his friend perused a large tome filled with pictures of insects. “Snails! Have you found that bug yet?“ the gray colt called out, “I can’t find anything cool in here!” The pair had found an unusual moth on the edge of the forest, and Snails was determined to identify it. While Snips was supportive of his friend, he’d just gotten really bored waiting in the library. He’d started taking books off the shelves looking for cool spells, or magic tricks, or something. Unfortunately, his magic just wasn’t enough to put them back. Oh, well. Snails was gleefully searching through books looking for a picture of that moth so he could identify it. It would be easier if the books were in a order that made sense to everypony and not just the librarian, they seemed to be at random with only a word in the title having any bearing on the books next to them, but that was part of the adventure! Suddenly his best bud called out to him and he turned to see how big a mess Snips had made. Hopefully they would be gone before the librarian, Miss Twilight, or Spike showed up. He trotted over "Whats up Snips? Didja find a pic of the bug, eh?" Snails ulped as the librarian came in "Um, lets look at that outside, eh!" and trotted outside with papers swirling around him as the door opened. The orangy unicorn foal suddenly spotted Sweety Bell as he got outside to what he hoped was a safe distance from the librarian. "Um H-hi Sweety Bell! Lookin fer the other CMCs?" He did a double take as she asked about whatever Snips found "Um, Snips found it. ...uhhh what is it?" Sunrise Beach was back in the empty house that she was secretly living in. It was Tea Cozy's empty home and nursery, closed due to the mare's illness and move to Canterlot. Still, it wasn't abandoned, just closed up until it could re-open someday; but it was supposed to be empty and Sunrise was supposed to be back in Roughrider. She couldn't go back, though - she'd promised she’d get a good education here in Ponyville and she wasn't going to give up on that, even if it involved a few little white lies. The turquoise filly had everything she needed to help in the adventure she was about to partake in. Her friend Sweetie Belle found part of a treasure map and had an idea where the other half might be. The idea of some mysterious treasure in some mysterious location really appealed to the little adventurer inside her; a role which she was well prepared for. Nuts, veggies, and candy! Check! Lantern, check! Compass, Check! Spool of string (string is important!) Check! Canteen! Check! She had to admit, her saddlebags were a little over-burdened, but she could carry them! She was, like, an outstanding athlete! Sunrise slipped under the band that held the saddlebags together and stood up. It took a little extra effort, as she had packed a lot of candy, but only the essentials, right? Once she had it securely on her back, she quietly looked out the window. Great, no pony around, she could sneak out. Sunrise climbed up on a stool and opened the window, climbing through. She was about to jump, but the bags were a little heavier than she had thought, and they unbalanced her. She tumbled down, face first into a large patch of flowers. "ow, ow, like, OWWW ..." she rubbed her head with one forehoof as she looked up and around quickly. No pony around, good. That meant her clumsy exit didn't happen. Except the part where the container of candy popped out, bounced on the ground and popped open, spilling its contents all over the pathway. "Like, my ... my provisions!! Now I'll have nothing but dumb ol' veggies and nuts! Moooooost Heinous!" Sunrise really wanted to pick them all up - a little dirt never hurt - but there was no time. She'd promised her friends she'd meet them there within the hour. All Sunrise could do is close the window and hope nopony will think much of the squashed flowers and bits of candy. As the turquoise filly raced towards the library, her mood brightened again. She was making friends, real friends, and perhaps she could help them find the treasure they were really looking for ... Their cutie marks! A treasure hunt? Honestly Grim thought it sounded a little silly. Sure there were probably hidden things all over the place; like the things his cousin sought out. But he wasn't so sure about a half a map stuck in a diary. But she asked him to help... and well Grimmy just couldn't say no to Sweetie Belle. That little filly always made him feel like he should get out and try to be less, well, grim. He had packed his saddle bags with some supplies, water, a snack, and one of Wisp's journals about possible local spooks and creatures. At least if their treasure hunt led them into some sort of mess he could look up a possible way to deal with it. After all, in stories, treasures always seemed to be guarded by some sort of entity. "Okay..." He checked his bags one last time. "I'm heading out Wisp." His cousin looked at him from the top of the stairs. The day was just starting but for her, it was bed time. "You have fun, Grimmy." She yawned and then laughed. "Don't be out too late with your little filly friend." "Wisp!" He whined out, a blush on his cheeks. "It's... it's not like that!" And embarrassed he took off, leaving the creepy house behind. As he approached the library he could see her in the distance. Grim gulped and put on the best smile he could, which always looked a little awkward for such a gloomy pony. Taking a moment to prepare himself he took a deep breath and then trotted over. Twilight Sparkle hummed quietly to herself as she walked through Ponyville. She was just getting back from a quick trip to Canterlot and her saddlebags with heavy with all kinds of books. Most of the books were just being moved over from the Canterlot library to the Ponyville library, but she did have one special book that was going on her personal bookshelves. While she was in Canterlot she stopped by her parents house, her dam had recently cleaned out the attic and discovered Twilight's old copy of Advanced Magic for Young Unicorns. The pages were full of notes that Twi had scribbled down as a foal and the binding was practically falling off the pages. It had been her favorite go-to guidebook when she was studying for the entrance exam for Celetsia's School for Gifted Unicorns, and although Twilight doubted she would refer to it very often she thought it would be nice to have around the library. Spike was supposed to be in charge of the library while Twilight was in Canterlot. She sure hoped that he got all of the cleaning done because the place was a bit of a mess when she left it. 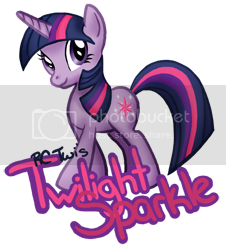 Twi never meant to be so messy; she knew Spike put a lot of effort into keeping the library clean and organized. Unfortunately, as usual, she thought that she only pulled a few books off the shelves to study from but when she was done several hours later, half the library's books were on floor in unorganized but neatly made stacks around her desk. Luckily, Spike never seemed to mind cleaning up too much as long as Twilight helped when she could. As Twi walked up to her library's front door she noticed that it was left slightly open and she heard what sounded like a few ponies trying to find a book. She didn't think too much of it and pushed the door open with one of her front hooves. What she saw inside made her ear and eye visibly twitch. She looked around the library and saw books all over the place! Unlike the neat stacks that Twi usually made, these books were lying open all over the floor and it looked like a few of them even got their pages bent. The worst part was that all around the books were little muddy hoofprints, luckily it looked like most of the mud hadn't come in contact with the books on the floor. After surveying the room, Twilight Sparkle looked down at the little ponies responsible for the mess. Before she could open her mouth to say something, Snails trotted out the door leaving a trail of mud. Twi took a deep breath and finally said "Snips... you should probably follow Snails." as calmly and as deadpan as she could possibly say it, given her current feelings. As soon as he walked out the door she used her magic to slam it behind him. Once she was alone she took one more deep breath to try to calm her nerves. Twi looked around her library once more and gently used her magic to pick up all the books without damaging them and once they were under her control she neatly stacked them around the room. Once all the messy books were stacked up and it looked like none of them were damaged she levitated the other books out of her saddlebags and put them in their own stack. Satisfied that the library no longer required her immediate attention she walked up the stairs to her bedroom and pulled out the old worn out copy of Advanced Magic for Young Unicorns. She flopped down on her bed, opened her book to the first page and started reading. In the very top of the hayloft of the cheery red barn in Sweet Apple Acres, in a secluded section where all the hay bales had been removed to make a little room, a petite, pale yellow filly with vermillion hair lay nestled in the hay with one hind hoof sticking out. All around her saddlebags were carefully packed with provisions...and a few implements of destruction. A gleaming cape made by one of her best friends hung on a nail nearby, its sparkling gold liner occasionally catching the sun through a crack in the roof and sending a shimmering light across the hay and rough walls of the barn, not that the pony in residence was awake to appreciate it. Apple Bloom tossed and turned in in the crackling hay in her secret hayloft hideaway. The beat up and antiquated alarm clock that she'd rescued from the trash heap jangled and buzzed in its dented, muffled way from its perch on the bale that she was using as a headboard, but did little to rouse the pony. The noise just manifested itself in the dreams racing through her head. Every now and then her ears would twitch in her damp mane, plastered across the face of the little yellow filly. Her hooves would also twitch as if she was running away from something, and she'd let out a whimper. In her lucid dream, Apple Bloom knew she was going to be late to meet her friends for the epic treasure hunt that they were planning, but couldn't seem to snap out of it and awaken. "Wake up wake up wake up! ", she shouted aloud at herself, worrying about the consequences if the amorphous shadow that was chasing her caught up with her. She could only catch glimpses of it, but the crackling metallic sound it made as its hooves hit the ground terrified her. She rounded a corner in the cave system she seemed to be running through and saw Sweetie Belle. "Sweetie! RUN! It's gonna get you!" She shouted, but her unicorn friend just seemed to stand there, waving cheerily. Apple Bloom slowed down a little bit to try to turn her friend around and give her a gentle boot to the flank to make her run, but as soon as she touched the white unicorn filly she disappeared in a mist of sparkles. Nonplussed, Apple Bloom stood there oblivious to the monstrosity that was chasing her for a second. One of her dearest friends just turned to glitter that was now lining the walls of the cave. When she was able to regain her composure, by reminding herself it was just a dream, and run, the shadow chasing her was much closer. Looking back slightly as she ran, she could tell it was vaguely pony shaped, and had piercingly blue eyes, shrouded in darkness. When she looked towards the path again, her other best friend Scootaloo strode into the way. The filly didn't even have time to swerve to avoid the orange pegasus, but like Sweetiebelle, Scootaloo dissolved into sparkles that lined the cave on contact. This time Apple Bloom didn't pause. She ran on, and yet again spotted a friend of hers faintly glowing in the darkness ahead. SUNRISE! RUN! IT'LL GET YOU! She shouted to the turquoise unicorn, as the shadow was just on her heels. But like Sweetiebelle and Scootaloo, Sunrise did nothing. Just before colliding with Sunrise Beach, Apple Bloom spun around to face her dream-attacker. "That's it. Ah ain't gonna be bullied by you anymore, you dream shadow monster, and Ah ain't gonna let Sunrise turn into sparkles, even if it IS just a dream." She bravely reared up in her hind legs to face the monster-pony that had been terrorizing her. The metallic clanging got louder, and just as she could almost make out who it was that was chasing her through the cave. Suddenly, a spike of pain went through the harassed filly's head and she saw stars. Just as she was shaking her head to try to recover her composure, she caught a glimpse of who had been chasing her, shrouded in shadows. Apple Bloom woke up rubbing her forehead with a hoof. It smarted something fierce from where the alarm clock had fallen off the bale and hit her on the head. "Ah have a bad feeing about today",she said aloud to a moth lazily drifting through a sunbeam. "But Ah suppose Ah'd better go just the same. Ah at least gotta tell them about that crazy dream I had." She dragged herself out of her hay nest, put on her saddlebags and made her way to the Library to meet her friends, still occasionally rubbing the bump right in the middle of her forehead. "Maybe Ah kin tell them all Ah'm turnin' into a unicorn" she giggled a little as she trotted. As terrifying as her dream was, it was hard to keep the filly down. Sweetie Belle bounced on all four hooves excitedly as she looked at the maps. That was SO EASY! What a great start to their awesome adventure! "It's a treasure map, of course! Oh, Snips, Snails, thanks! You can join our adventure! We're going to go find the treasure!" She bounced over to the side eagerly, getting out of the way of the library's door, bounding in her excitement, all four hooves barely touching the ground before she sprung up into the air again. "Hiiiii, Grim!" she said happily, as the foal shyly greeted her. She gave him a little nuzzle alongside his cheek, then offered him one of the map-halves. "Hold this for me!" she said cheerfully, then set her own half down on the grass, pinning it with one hoof, so its torn edge lay against the torn edge of the half she'd given Grim. She frowned and stared at them both intently, reading from one side of the tear to the other. "Hrm. This writing's *weird*," she murmured. "What's it say... foreft? What's a foreft?" She frowned, trying to struggle through the ornate writing. "F...Faint .. of ... heart ... be ... be ... beware ... both treafure.. those silly ponies, they mis-spelled treasure! treasure ... and ... d... death ... await you ... in the foreft ... that if ... free forever ... "
Sweetie Belle frowned. "That doesn't even make sense! If the foreft is free, what? What happens if the foreft is free? It's not even finished! And what the heck's a foreft?" Snips saw the way that Twilight Sparkle's eye and ear were twitching. That was probably not a good sign. It was well known in Ponyville by now just how powerful a unicorn that Twilight was, (Snips had seen her spell on the Ursa first-hoof after all,) and Pinkie Pie had spread stories that Twilight actually exploded once, so he REALLY didn't want a pony with that much power mad at him. His eyes widening in panic, Snips shouted out "Yes Miss Twilight! Whatever you say Miss Twilight!!" He snapped up the parchment again and galloped for the door as fast as his short legs could carry him. Sweetie Belle had seen it too: somehow they had found the opposite halves of a map! Snips found himself bouncing along with Sweetie. "Snails, did you hear that?!" he called out to his friend, excitedly. "A real, live treasure map!!" Snips bounced with Sweetie until another colt came up to them. "Hey Grim! Didya see this? A real treasure map!" he said to his classmate. The gray colt calmed down a little as Sweetie Belle began trying to read the map. He screwed up his face in confusion at the strange language. "I don't get it," he said, uncertainly. But then, he perked right back up. "Hey if we follow it, we might be able to figure it out on the way!" Snails also saw the othe foals coming to the library as well "Hello Grimm, Hello Sunrise Beach!" He also saw Apple Bloom coming their way too and waved a hoof at her too, waiting untill she gets there before he says hello. Snails did a sudden double take and looked down as the matching halves of the parchments lined up exactly and his best bud Snips blurted out, asking if he heard Sweetie Bell. The foal bounced on his orange hooves "Wow! Cool! Treasure maps are Soo Awesome! We can be like th' Pirate Ponies Of Penzance in that play last month!" Sunrise Beach cantered at a good clip - she didn't want to move too fast, and then trip and spill even more provisions. She was still a little annoyed by the loss of candy. Like, maybe one of the others will have some! The focus of her thoughts quickly changed when the town library came into view. It really stood out, a building carved out of a living tree, quite the contrast to all the waddle and daub houses around it. It had recently become even more in the forefront of her mind as the curator there, Miss Sparkle, discovered Sunrise was living alone in the closed nursery and, instead of having the constables send her home, offered the turquoise foal a new place to stay while she attended school. Sunrise wasn't sure why the young purple unicorn mare wanted to help, but she figured she would let her know she would gladly accept ... once this adventure was over of course. Just then, she spotted her friend Sweetie Belle, that incredibly sweet if a bit naive unicorn that had been so nice to her and made her feel so welcome at her new school. The other three she also recognized but she didn't really know them. The three colts were tucked in tight around the filly, and Sunrise gave a little grin. She knew Sweetie Belle was the cheerleader type - a big hit with the colts already! Though she was surprised to see which colts they were - all three were the types that always stayed on the sidelines, or hung out by themselves, or never said anything. The type always picked last. She was surprised to see them all paying so much attention to Sweetie Belle, she'd have thought they were all too shy! Sunrise remembered the dark one spending a little time with them before, but not the other two. "Like, hey dudes and dudettes! Like, what are you all scoping out here?!" Looking down at the two pieces of parchment placed together, it looked like some kind of map. Sunrise could recognize the symbols for trees, trails, rocks, and the like. "Like whooooa ... You already found the whole thing Sweetie Belle? What do you think it, like, points to?" Looking it over there was some text scribbled on it in a fancy sort of way, like those royal proclamations one would see posted in the forum squares of towns, but even more artistic and strange looking. Sunrise tried to read but, to her, it was all scribbles ... she found it hard to understand any of it. She was very glad that Sweetie was reading it aloud, and felt a little better about herself when Sweetie seemed to be having problems, too. "OK, so, like, what clues do we get from that, and junk?" Grim couldn't help the burning feeling on his cheeks with the nuzzle he recieved. Whether the little white Unicorn knew it or not, she could send him into orbit. He just adored Sweetie Belle. And as she passed over part of the map he just held it with a slightly dazed and dopey look on his face. Well until Snips and Snails spoke up and then he was quick to shake it off and glance off until the blush that surfaced was faded. "It does seem like the letters are messed up. I'm guessing the foreft is... well forest. And if it's free.... I'm wondering if it means the... the... Everfree Forest." He glanced to the others as they gathered around. Snips and Snails seemed eager for an adventure. Then again so did Sweetie. But if the map meant going into Everfree he wasn't sure it was such a good idea. Wisp told him all about the things she found in there. And he knew that it could be very dangerous. But what if the others went anyway? That could mean they could get into danger. And he didn't want Sweetie Belle to get hurt. "We should really be careful. I... I brought one of Wisp's journals of her finds around here and in the forest. So um... I guess I can keep it on hoof if something happens. But the forest is... is well... we shouldn't go in there, right?" The sound of Scootaloo's own wings buzzed loudly in the little foal's ears as she raced towards the library tree. She wasn't late yet, but she certainly would be if she slowed down at all. As she sped through the streets she had to keep swerving to narrowly avoid other ponies. Luckily, Scoot was pretty good at this because other ponies seemed to jump in her way a lot as she raced around Ponyville. Scootaloo just could not wrap her head around how she overslept today, today was the beginning of an adventure! She was replaying the plan in her mind and didn't even notice that she was getting close to the library, maybe a little too close. Before she could do anything about it, Scoot smacked right into the side of the tree and her scooter went flying off in a random direction. As always, Scoot just jumped right back on her hooves and acted like the whole thing didn't phase her at all. "Hey guys! Sorry I'm late... um... did anybody see where my scooter went" She said while adjusting her helmet and looking around the rest of the foals. Apple Bloom tore flank in the direction of the library, candy-apple red mane and tail streaming in her wake. Still trying to hold on to her dream, and trying to make haste, the filly wasn't paying attention to much around her. "Hi Apple Bloom" one blue blur exclaimed to her, only to receive a fast-fading "Hiiiiiiiiiiiiiii!" in return. Excitement, trepidation, fear and curiosity all battled on the forefront to be the emotion of the morning. Finally, the library in view she made one final push to meet her friends. Taking a shortcut she bounded through the grass, and took one final leap over a high tussock. On the way up her hoof caught on something metallic, and flat on her face she went to the hard-packed dirt road. The dust from her landing settled on her sweat streaked hide and mane, dulling her colors. 2 injuries already; for Apple Bloom, who was rather on the athletic side. Not a good sign. She looked up at her friends and smiled sheepishly, with a but of a glare to Scootaloo, who was looking for her prized possession. "Ah think Ah found your scooter." Sweetie Belle swallowed as the others helped figure out what the map meant. She remembered her last trip into the Everfree Forest - and the cockatrice that had almost turned them all into stone. But she'd determined to be exciting today! "All right!" she squeaked in excitement, "The Everfree Forest! No wonder nopony's found the treasure yet! I've already adventured into there, so we should be safe enough. Just don't look any chicken-snakes in the eyes! It sounds silly, but it's dangerous!" She grinned to Snips and Snails, and Sunrise, and slipped a foreleg over Grim's shoulders to give him a lil' snug, all eager to get on with her adventure. It's not that she minded adventure, after all - she loved exciting adventures! It's just she also liked some times that weren't so adventureful. And they had Sunrise with them, and Sunrise was bigger and tougher than any of them, so that was all right! She jumped in surprise as the crash sounded, and the scooter went bouncing past her to fetch up at Apple Bloom's hooves, and smiled to see her friends and fellow Cutie Mark Crusaders. Scootaloo had crashed? Scootaloo didn't crash! Wow, this being adventurous thing was working out great! Usually *Sweetie Belle* was the one who crashed and stumbled and looked silly! "You two are just in time!" Sweetie Belle cried, her mind racing with half-made plans. "Snips and Snails found the other half of the map, so we're all going to find it in the Everfree Forest TOGETHER! Let's go find ourselves some treasure cutie marks! Cutie Mark Crusader Treasure Hunters, YAY!!" She jumped up into the air, both her hooves raised for a high-hoof with her friends. But this, this was important. This was a real, live treasure hunt! How could they pass this up? Snips thought for a moment, then got a sly smile on his face. He thought about the way he, Snails, and a few other foals had snuck away from Diamond Tiara recently. He had a fresh stock of smoke pellets in his saddle bags. "But if nopony SEES us going into the forest," he mused out loud. "Snails, you thinkin' what I'm thinkin'?" Snils had a distant look as his mind was on treasure hunting and replied before thinking .. again. "yeah, but where are we going to find a cannon and leiderhosen at this hour, Snips?..." Snails shook his head as he realized something silly might have popped out of his mouth, and looked around. "Uh, did I do it again, Snips? At least I didnt do it in class, eh?" He saw the smoke pellets held by Snips. "Uh yeah, nopony will see us eh!" He reared up "Behold Ponyville as duh mighty Snips and Snails vanishes from sight!" Sunrise Beach watched as plans started to come together. Everypony knew of the Everfree, the largest forest in all of Equestria. It was said the place was so vast, so old, and so different; it almost wasn't part of Equestria at all, but a whole otherworldly realm in the shape of a forest. Sunrise didn't know how much was true and how much was just fairy tales that dams told their foals at bedtime. She couldn't read all the fancy writings, but she could at least tell it was only a little way into the forest - a quarter of a day, maybe half at most. She looked over to Grim, "like, I bet the place is a lot less scary than the adults try to frighten us with. I bet that place is, like, totally radical and junk!" Sunrise leaned in closer to the worried gray colt so she could whisper into his ear, "like, besides, you don't wanna be all like chicken in front of your fiiiiiillyfriennnnnd, right?" "Like, hi Applebloom! Hiii, um, Scootaloo!" Sunrise beamed with a huge smile, all ready to start! "Like, I am all ready to go and junk! We just gotta, like, make sure nopony sees us! Otherwise they may be all totally lame about letting us go just because we're not adults!" Sunrise gave a soft sigh - she wished she had a BFF like these three were with each other - Sweetie seemed to perk up excitedly, . Sure, the turquoise unicorn knew and got along well with Sweetie Belle and Applebloom, and even their constant orange Pegasus companion seemed pretty gnarly, but she didn't have that close, deep friendship bond to anypony like those three had to each other, or even like the two rather dorky unicorn colts had between them. Still Sunrise was determined to use this opportunity to most closely bond with some her schoolmates, and be the best friend a pony could have! Sunrise turned towards the forest hoping to start things off when the small, stocky blue unicorn made some pronouncement about them disappearing. Wait, like, he could do invisibility magic for us!? At his age?? Like, that's so totally bad to the bone!! Scootaloo winced as Apple Bloom tripped over the scooter "Sorry Apple Bloom! Are you ok?". As she spoke she hurried over to her friend to make sure she was alright. Once Scoot got over to her friend, she helped AB up and then picked up her Scooter. After a quick inspection she confirmed that there wasn't any damage "Ya know, I'm starting to think this scooter might be invincible" she said, to nobody in particular. Before Scoot had any more time to admire what was clearly the best scooter in all of Equestria, she remembered what everybody was doing here in the first place. Scootaloo yelled "So we already have the whole map?! Cutie Mark Crusaders Treasure Hunters!" as she scampered over to high hoof her best friends. As she got back towards the library, a foal who she didn't quite recognize said hello "Oh, um.. Hi!" Scoot said enthusiastically. The unicorn looked soooo familiar, so Scoot felt bad for forgetting her name. Maybe somebody would say it soon and she wouldn't have to ask. Scootaloo thought about Snips and Snails' problem for a minute "Well on top of letting nopony see you go into the forest, as long as you aren't bringing any creatures out it should be totally okay! that's what all the grownups were mad about, right?". She nodded; this seemed like sound logic to the little orange foal. "Sorry Apple Bloom! Are you ok?" Scootaloo's inspection was as quick and thorough as a young filly's medical exam likely would be, though there wasn't anything unusual. The bump from earlier had gone down noticeably, meaning her unicorn joke would have to wait until something else hit her head and caused a bump. She wasn't all that excited about that possibility however. The small scuff from the fall stung a bit, but working on a farm, a pony gets used to dents and dings as it were. "Ya know, I'm starting to think this scooter might be invincible"
Scootaloo picked up her scooter, which she seemingly gave more of a look-over than she had Apple Bloom! The Earth-Pony knew that wasn't the case, but as Scootaloo praised the indestructibility of her scooter, Apple Bloom could only roll her eyes a tiny bit and chuckle. You'd swear that it was the only scooter in all of Equestria the way Scootaloo fawned over it. "Yeah, ah'm fine. Not the first time today ah've been hurt, gotta bump on mah noggin here from a mean run-in with an excited alarm clock, darned thing tried ta stop me from bein' here, ah reckon. And ah'd wager that yer scooter ain't invincible, more lik' unstoppable. Mah hooves say so, at least." Apple Bloom said to her pegasus friend, rubbing her head to indicate the bump and starting to inch closer to Sweetie and away from that Earth-pony hating scooter. Darned thing was liable to come back to life and hunt her down once more and she wanted no part in it. "You two are just in time!" Sweetie Belle exclaimed with sudden, bursting enthusiasm, Apple Bloom being both excited and taken aback by the sheer size and bursting rhythm of her enthusiasm. They were all fairly excitable but Apple Bloom had always considered her the most reserved of the bunch- what had gotten her so jazzed so quickly? "Snips and Snails found the other half of the map, so we're all going to find it in the Everfree Forest TOGETHER!" Apple Bloom's question was answered, the young filly's eyes lighting up. "So we already have the whole map?!" "Yeehaw! This is already turnin' out good, isn't it?!" Apple Bloom asked nopony in particular excitedly, up on two legs and the two front legs pawing the enthusiatically. "Let's go find ourselves some treasure cutie marks!" "Cutie Mark Crusader Treasure Hunters, YAY!!" Sweetie Belle squeaked, jumping up and offering up a high-hoof in customary Cutie Mark Crusader fashion. "Cutie Mark Crusaders Treasure Hunters!" 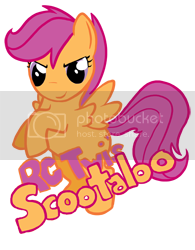 Scootaloo responded, joining her. "Cutie Mark Crusaders Treasure Hunters!" Apple Bloom added, throwing her forehoof into the high-hoof collage as the crescendo of their joint declaration likely caused some sort of damage somewhere. "Thank's for finding the map and such." - But for now, her attention turned to Sunrise. She was happy to see that her imaginary dream monster didnt get Sunrise, as that would have surely put a damper on the adventure. She was a lot of fun to be around and Apple Bloom did consider her a friend, a good one even. If only she didn't say, "like" so much, it was sorta distracting. But then again, Apple Bloom had always been taught to be nice to others and didn't think it a serious enough issue to bring up. For now, at least. "Hey there Sunrise! I haven't seen ya for a nice spell. Whatcha been up ta?" Apple Bloom asked, cantering about and giving Sunrise a grin. She then turned to the group, who were currently discussing the best way to get into the Everfree. Luckily, Apple Bloom had a thought on the matter. "Ah might just have the solution yer lookin' for, girls...and Snips and Snails, sorry. Anywho, why don't we all slip in through mah farm? Sweet Apple Acres is ri'ht beside tha Everfree Forest, and its such a large farm that tha chances of us gettin' caught are about as large as a zap apple harvest in a snowstorm. Plus, since we've been dealin' with it for such a long time, the border's all nice and such. We won't be runnin' into any nasty old creatures like cockatrices or manticores right outta the gate," Apple Bloom said, laying out her case as well as she could. No matter what they decided, she was itching to go. "But, ah'll do whatever y'all decide to do. I ain't above using them smoke pellets of yours to get us outta town, as long as ya don't plan on usin' them up already." "Well, there is that stallion from Germaney who lives down..." Snips started, looking thoughtful, but as his brain caught up, he shook his head and sputtered out, "Wait, what?!" He glared at his friend for a moment, before facehoofing. "Oh never mind..."
"Well on top of letting nopony see you go into the forest, as long as you aren't bringing any creatures out it should be totally okay! that's what all the grownups were mad about, right?" Snips winced a bit. He didn't like to be reminded of that night. Somepony had once said that there was no such thing as bad publicity. Even when Snips and Snails had gotten in the school paper for that incident with the gum, they'd soaked up the brief flash of popularity eagerly. But the Ursa Minor incident had brought all the wrong kinds of attention. Nopony in Ponyville would even talk to the colts for weeks afterward, they'd had to work to clean up the mess the Ursa had caused, and that was on top of the punishments doled out by their parents. "I wish it was that easy, Scootaloo..." he said, scraping a hoof in the dirt. "Anywho, why don't we all slip in through mah farm? Sweet Apple Acres is ri'ht beside tha Everfree Forest, and its such a large farm that tha chances of us gettin' caught are about as large as a zap apple harvest in a snowstorm." Snips brightened at that. "Good idea!" he said to Applebloom. "And don't worry, I've all kinds of tricks in my bags! C'mon Snails!" he said, racing toward a nearby alleyway. "We'll see you at the farm!" he called back over his shoulder at the fillies. The two stopped before the alley and Snips raised up on his hind legs. With a flourish of a non-existent cape, he called out, "And now, Snips and Snails of the S&S Magic Act, must bid you farewell!" He threw two of the smoke pellets at the ground in a grand gesture. When the smoke rose high enough, he dropped to his hooves and began galloping away down the alley. He perked up his ears when Sunrise and Applebloom were supportive and came up with ways for them to get away. The orange unicorn foal galloped over to the alley entrance with Snips and reared up in a way he hoped was dramatic as Snips said his line and tossed smoke pellets. As he galloped down the alley with Snips he grinned "Ah tell ya, that smoke pellet getaway never gets old!..." She tucked both halves of the map away into her saddlebags, then headed over to Scootaloo to pull on her helmet and hop excitedly from hoof to hoof. Today she wouldn't squeek and worry! Today she was going to ask Scootaloo to go faster! She was going to be a cutie mark adventurer! "Hurry up, Scootaloo! We can't let Snips and Snails get there ahead of us!" She grinned over to the rest. "On to Sweet Apple Acres!" And on the way to Sweet Apple Acres, she *did* ask to go faster! if it was in a thin, quavery voice, well, Sweetie Belle would refuse to admit it! Sunrise Beach was glad to hear the other foals were so enthusiastic about the adventure, and none more so then the trio of blank flank fillies. Sunrise knew Sweetie Belle and Applebloom pretty well - well enough to know all about their "crusading" for their cutie marks, but this was the first time she had seem them plus their friend Scootaloo do their club pledge, it was both silly and cool. Those three were the best of friends, rather like the two dorky colts that were also coming along. That is what Sunrise dreamed of - this kind of friendship, something she'd heard of but never had. Maybe this adventure would help - they seemed to have accepted her. The treasure she was hoping for on this treasure hunt wouldn't be carried back in a saddlebag, that's for sure! Sunrise smiled back enthusiastically at Scootaloo, "Like, hi! Sweetie Belle said you were going to show! That's a totally radical scooter you got there! Like, I never met a Pegasus into ground racing so much, like, since you can all fly and junk. That is like so gnarly you can use your wings for this, too!" She'd never been to the apple orchard, but it was certainly bit enough to sneak them into the forest without any adults seeing them. Everypony seemed keen on the idea, so much so that the two colts decided to jump the gun and make a run for the farm using some poorly laid smoke as "cover". Sunrise giggled behind her hoof. "Are they like, always like that?" Like they are such unbelievable dorks! The others seemed to be fine with them, so she didn't say that out loud - especially since she was the newcomer. Sunrise watched as Sweetie Belle pulled a helmet seemingly out of nowhere and jumped on the scooter all raring to go. So it was a race, was it? Sunrise Beach definitely wanted for them to accept her as a close friend, but there were three things about the turquoise foal that was important to her, friendship, exploration, and competition, especially if it was one involving physical skill! She looked at her yellow earth pony friend and smiled brightly, "c'mon, we are not, like, going to let the rest of them beat us and junk, right?" Sunrise Beach trotted in place for a moment before stretching out, her head low to the ground, her flank high, her legs stretched back. For a brief moment she stood there like a coiled spring, then took off running as fast as her little legs could carry her, her saddle bags bouncing on her sides. She was in the zone! Fillyfriend? It was that word that had made Grim clam up. Sunrise was only teasing but it still turned the little grey colt's cheeks a bit red. He wasn't as luck as his cousin, a dark enough pelt to cover it all, so he knew the blush was probably showing. In fact he was so choked up from the word circling in his mind he had missed most of the conversation going on around him. It wasn't until Snips and Snails took off with a show of smoke that he snapped out of it. "Where are we going?" he glanced around nervously but was able to pick up that everyone was meeting at the farm. "Oh yeah, that's a good starting point..." Grim gulped and gave a sheepish smile, acting like he'd been paying attention the whole time. Everypony was off and running, well, some were on a scooter, but all the same he was about to be left behind. Still nervous about heading into Everfree he took a deep breath before trotting off to catch up. Wisp had already told him some of the weird things she'd found in there, and some were potientally dangerous. But he couldn't sit it out. Sunrise was right, he didn't want to seem like a chicken. And he would worry about Sweetie Belle and the other's if he didn't tag along. Managing to catch up a little he called ahead. "We...We should come up with some sort of signal incase some of us get seperated or lost..."